to Puebla to say goodbye. while her in the mission. What a blessing. It has been so incredible to be able to leave my family for a year and a half, only to find a whole new one. 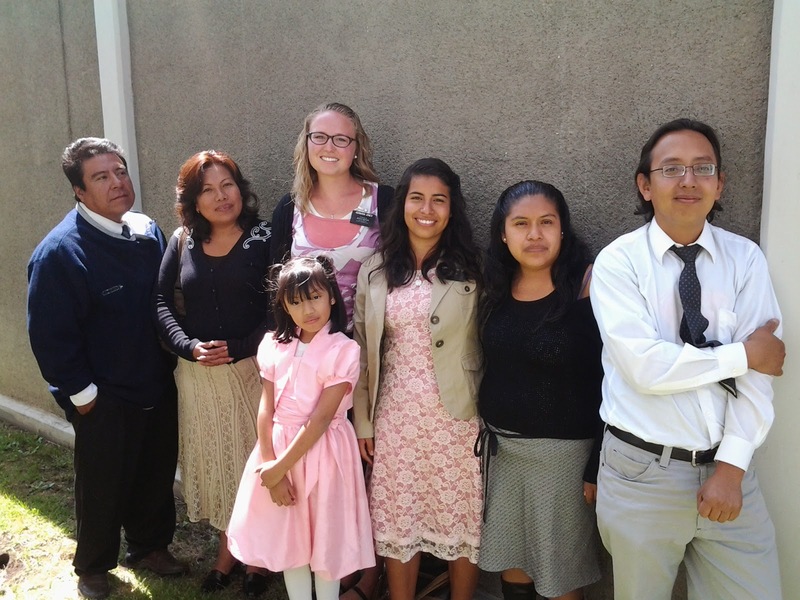 "The Church of Jesus Christ of Latter-Day Saints views the family as the most important organization in time and all eternity. The Church teaches that everything should center in and around the family. It stresses that the preservation of family life in time and eternity takes precedence above all other interests. There can be no satisfactory substitute for the home. our homes... The good home is the rock foundation, the cornerstone of civilization. It must be preserved. It must be strengthened. on the home and family when there are such larger problems around us? a reflection of individual and family problems." "The family [is] the most important organization in time and all eternity." but the family is the MOST important. Not only do we know that all of lives problems can be solved from the front steps of our own homes, but we also know that the relationships we form here in our families do not have to have an end. We know that the "same sociality which exists among us here will exist among us there, only it will be coupled with eternal glory, which glory we do not now enjoy." God loves us. That's why he has given us families. I invite you all to think about that a little bit this week. What are you doing to cherish your family? How do you show them you love them? click here to read "The Family: A Proclamation to the World"